Cryogenics is the branch of physics that deals with the production and effects of very low temperatures. 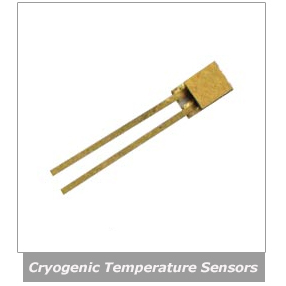 Cryogenic temperature sensors have been developed based on a variety of temperature-dependent properties. Common, commercially available sensors include resistors, capacitors, thermocouples, and semiconductor junction devices such as diodes or transistors. Primary standards-grade sensors are very sensitive to thermal and mechanical shock and are therefore not suitable for ordinary laboratory or industrial temperature measurements. Other temperature measurement techniques such as gas, vapor pressure, acoustic, noise, and magnetic susceptibility thermometry require much greater effort to implement or they severely constrain system design. OMEGA Engineering offers a range of cryogenic sensor in Taiwan. It is critical to know the temperature range of the application. Extreme temperature ranges of too low or high can damage most sensors. Sensor sensitivity is also dependent on temperature and can limit a sensors useful range. Different sensors should be considered for different temperature applications. A sensor application for liquid helium temperature with a very high sensitivity and good resolution may not require the same sensor for a room temperature application. The instrumentation the sensor is connected to is very important. Ranges and resolutions for instruments may be limited depending on the temperature range. Temperature sensor sensitivity measures how much a sensor signal changes when the temperature changes. Different sensors have different sensitivities at different temperatures. Platinum sensors have a good sensitivity at higher temperatures but drop below 30 Kelvin. Silicone Diode type sensor sensitivity is better at approximately 1.4 to 475 Kelvin. Environmental factors such as high vacuum, magnetic field, corrosive chemicals, or even radiation may limit effectiveness of some sensors. Magnetic field experiments are very common. Field dependence is and important selection criteria for temperature sensors used in the se applications. The accuracy of the sensor and the accuracy of the instrument must both be taken into account when examining a system accuracy. The sensors accuracy will shift over time. Thermal cycling will cause sensors to shift. Selecting a sensor to a specific temperature range is the best. Calibration of the sensor and the instrument is a good practice. If the sensor and the application environment are at the same temperature then position the sensor is less problematic. Unfortunately this is not the case in many applications. Temperature gradients exist in most applications. Positioning the sensor near the sample helps prevent heat flow between the sensor and the sample. The CY7 Series Sensors from Omega represent the first truly new cryogenic sensor technology introduced in the last decade. The sensors incorporate uniform sensing elements that exhibit precise, repeatable, monotonic temperature response over a wide range. The elements are mounted into rugged, hermetically sealed packages that have been specifically designed for proper behavior in a cryogenic environment. The result is a family of sensors with temperature responses so predictable, tightly grouped, and stable that the sensors can be routinely interchanged with one another. Ideal sensors for the temperature range of 14 to 873 K. These 100 OHM Platinum RTD sensor perform well at high temperatures and provide excellent sensitivity. The CYC321 Series Cryogenic Temperature Controllers offer a simple, low cost answer to basic low temperature control needs. They incorporate a scroll type entry so that setup can easily be accomplished from the front keypad. Three models are available to accommodate either silicone diode, RTD or thermocouple input. The operator can also enter a user-defined curve, for a custom sensor. This curve can have up to 97 points plus two end points. The curve values are entered over the standard RS-232 interface. The model CYD211 Temperature Monitor provides the accuracy, resolution, and interface features of a benchtop temperature monitor in an easy to use, compact instrument. With appropriate sensors, the CYD211 measures temperature from 1.4 to 800 K and in difficult sensing conditions, including high vacuum and magnetic fields. Standard features on the CYD211 include alarms, relays, user-configurable analog voltage or current output, and a serial interface. The CYD211 is an ideal choice for liquefied gas storage/monitoring, cryopump control, cryo-cooler, and materials science applications, and for applications that require greater accuracy than thermocouples allow.